Fiji will soon have her own hospital ship, thanks to Government’s development plans. 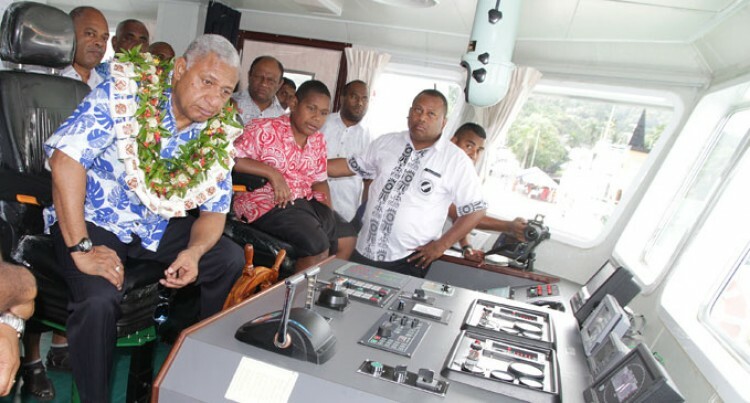 Prime Minister Voreqe Bainimarama said a new government vessel, MV Raiyawa will be bought next year to provide medical and navigational services to maritime Fijian islands. He revealed this while commissioning the new government vessel, MV Cagivou at Walu Bay, Suva, yesterday. “Next year, we will complete our fleet replacement programme with a new vessel to replace the decommissioned navigation aid ship, MV Raiyawa,” he said. “The ship will have a multipurpose function – a platform for aids to navigation and doubling up as a hospital ship. The PM said professionals on ship would be able to conduct surgical operations similar to those offered in hospitals. He said this would benefit Fijians living in maritime islands. The Government Shipping Services fleet now has six vessels.